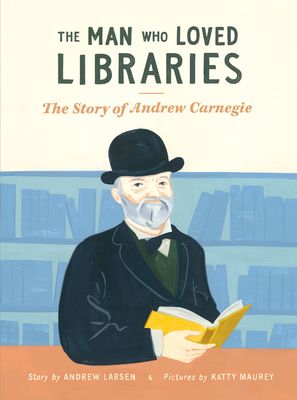 Carnegie believed strongly in sharing his wealth, and one of the ways he did this was by funding the construction of over 2,500 public libraries around the world. His philanthropy completely revolutionized public libraries, which weren't widespread at the time. Told in simple, lyrical text, the story unfolds against striking, stylized illustrations that transport readers to the bustle and boom of the Industrial Revolution. An informational spread explains more about Carnegie's life and work.When he was a child in the 1840s, Andrew Carnegie and his family immigrated to America in search of a new beginning. His working-class Scottish family arrived at the height of the Industrial Revolution. Carnegie worked hard, in factories and telegraphy. He invested in railroads, eventually becoming the richest man in the world during his time.